Fantasy night background with a beautiful big glowing moon. Download the pre-made fantasy night background for free and use it in Photoshop to create photo manipulations. This night moon background can be used for example to create Photoshop Halloween photo manipulations. This free fantasy magic night background with large moon, sparkling stars and dead trees can be downloaded for free. Moonlight night premade Photoshop background that you can use for free. If you want to create beautiful pictures of moonlight you can use this free stock image. Images of moonlight night are among my favorite fantasy premade backgrounds. If you are looking for moonlight on the water pictures or moonlight sea images, you should download this free stock image. This is a beautiful night photo manipulation with a stone arch frame and moon light effect reflected on a dark water surface. If you are looking for horror background effects you can download for free this pre-made Photoshop manipulation. This is a night horror background made in Photoshop using forest dead tree silhouettes and graveyard cross images. You can create a horror movie poster psd template with this free image. 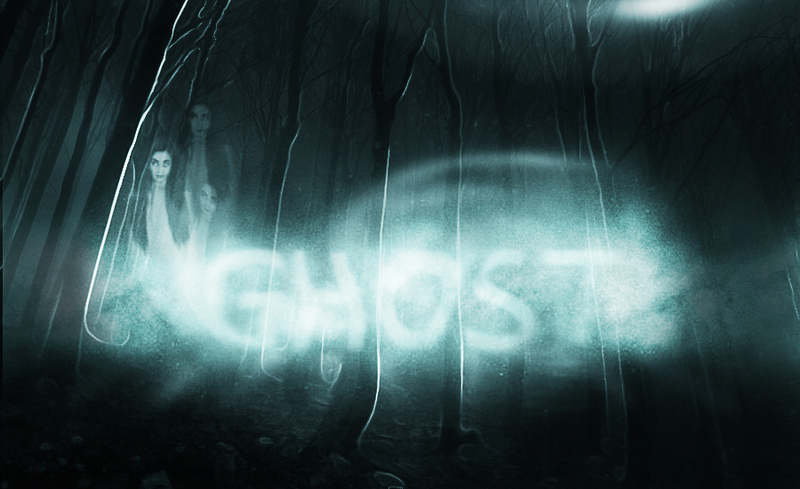 For example if you add a ghost and maybe a haunted house, you make a great photo manipulation for this year Halloween. So download the horror forest background for free and use to create Photoshop artworks. Using pre-made backgrounds is a great choice for Photoshop beginners or simply for people that want to obtain quick and easy results. Fantasy premade Photoshop background that you can download for free. This is a horror background for Photoshop; the creepy mood atmosphere was created using dead tress, stars, dark night effects and a bricks road. The spooky background has desaturated neutral colors so you can easily use it in your Photoshop manipulations. I will add this image as a DeviantArt background stock on my DA account, but the full size image can be downloaded only from here. We also have lots of other premade backgrounds for Photoshop that you might want to try. Beautiful bokeh background made with bokeh brushes in Photoshop. You can use this bokeh lights background as overlay in Photoshop for your photos. Simply set the blend mode to Screen. Create blurry bokeh lights effect in just a few seconds. Magic fireball background with a ball made of fire flames in two colors: blue and orange. You can use this fireball texture overlay to create magic light effects often made by a witch or a wizard in fairy tales or fantasy computer games. Magic glass orb that you can download for free and use in your Photoshop manipulations. This beautiful galactic orb effect can be used as texture overlay for your images. Simply set the blend mode to Screen in Photoshop. Or you can easily use the magic orb in Photoshop to create fantasy photo manipulations. Add more effects inside the ball like smoke and create an Orb of Empowerment for example. This free glowing orb can be used in any personal or commercial project. You can use it inside blog posts, post it on social media, use it in After Effects, in any video or image processing. Magic light backgrounds with golden glitter effects, Bokeh lights and sparkles. This glitter lights texture overlay can be used in Photoshop with Screen blend mode. Add glowing lights and sparkles in Photoshop in just a few seconds with this free overlay texture. Underground tomb background that you can use to create horror photo manipulations for Halloween. This is a premade horror background for Photoshop that can be downloaded and used for free. This horror night Photoshop manipulation was made using different stock images like cemetery statues, old stone stairs and a full moon. To create the night effect in Photoshop use adjustments like Gradient Map, lower the exposure, etc. Download this creepy night background for Photoshop and use it in any design project, free or commercial. Dark horror background for Halloween that you can download for free. This is a pre-made Photoshop background showing a creepy night scene with a skull island and a full moon. If you need a night background with a glowing moon for Photoshop manipulations you can use this image. It is useful not only for Photoshop beginners but also for advanced graphic designers saving time and money. Create fantasy dark photo manipulations using this skull background. You can easily change the color tones and add other elements like ships, pirates, ghosts, etc. Night bokeh lights texture overlay that you can download for free. Create digital bokeh effect in Photoshop using these blurry night lights background. Add the high-res bokeh overlay over your photo and set the blend mode to Screen. You can use this free high resolution stock photo as background for WordPress themes, as image inside blog posts, you can create flyers, banners, posters, etc. This is a high resolution texture that can be used for print materials like magazine covers, party flyers and so on. Download for free this beautiful half moon texture. You can see the moon surface with craters, which are formed when meteors hit its surface. This moon stock image is super useful. I personally used it in many of my Christmas Photoshop tutorials to create a beautiful winter night scene. Extreme lightning texture made in Photoshop that you can use for free. This lightning storm in the sky at night premade background can be used in all kind of projects. Lightning strike overlay to create electric storm effects. Use the Photoshop lightning overlay with Screen blend mode for best results.